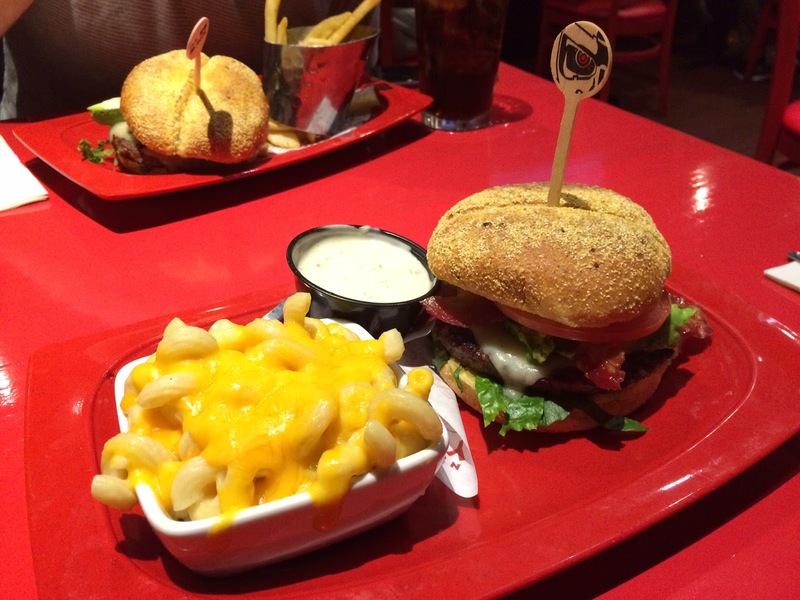 For The Genisys Burger, I upgraded the side to Mac 'n' Cheese at Red Robin. 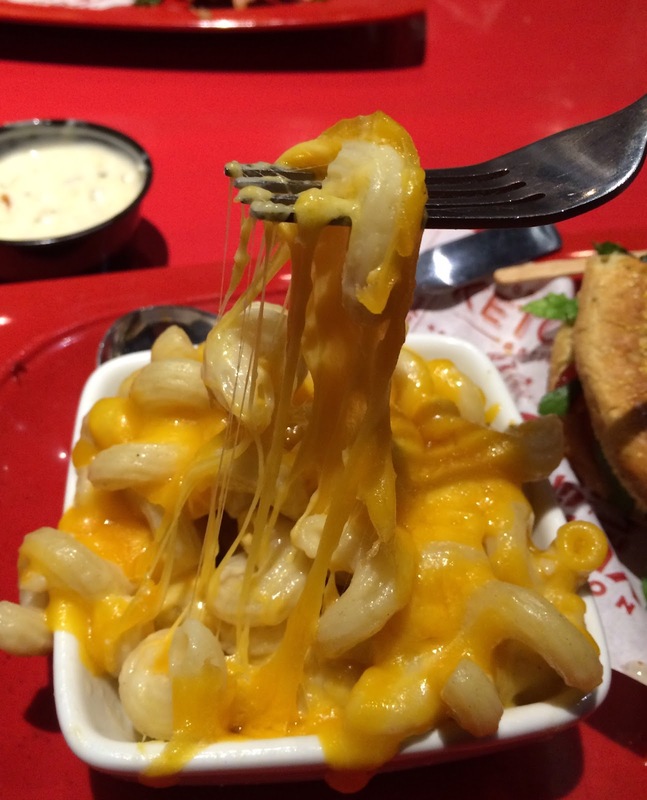 There's a lot of cheese over the macaroni and it had very rich garlic flavor. It's very cheesy and some white cheese which might have been white cheddar mixed with the pig tale pasta. Pasta was cooked a bit soft and the texture went well with the rich cheese and garlicky sauce. 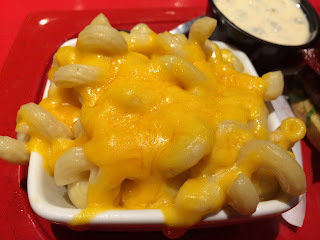 There're many options for the side dish upgrades, and I'm pretty happy that I got Mac 'n' Cheese.